To say that I'm excited about the summer of 2012 would be an understatement! I am ecstatic and can hardly wait until August because I have officially booked my stay in New York City for the annual BlogHer convention. I've never been away from my family for 4 whole days before, but am looking forward to all of the friendship and fellowship that awaits in the Big Apple! Of course, before the festivities can begin, I will have to PACK for this trip, which I'm dreading. 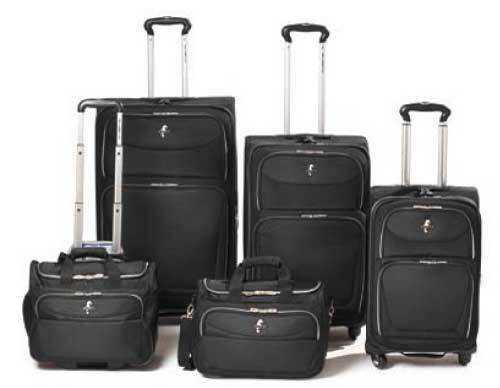 Atlantic Luggage from TravelPro International is an extremely reputable brand that creates well-designed luggage specially made to take the stress out of traveling and get you to your destination in style. 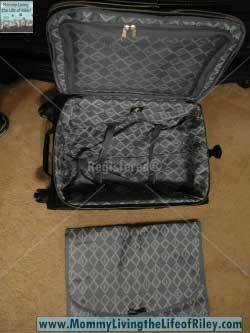 They were generous enough to allow me to review the Atlantic Compass 2 21" Expandable Carry-On Spinner Suiter. Keep reading to learn more! 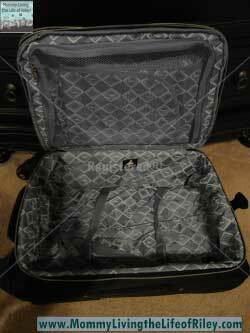 I reviewed the Atlantic Compass 2 21" Expandable Carry-On Spinner Suiter from Travelpro International, which retails for $99.99, but is currently on sale for $80.99. How's that for durability? But, believe me, that's just the tip of the iceberg. The Atlantic Compass 2 also boasts the following features which makes being on the move an absolute breeze! 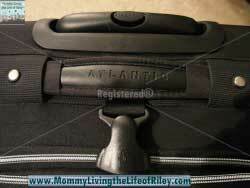 What's hard to gauge from mere pictures is the attention to detail and overall quality of the Atlantic Compass 2 21" Expandable Carry-On Spinner Suiter. 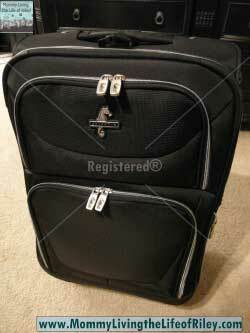 This luggage is flawless and both the features and the design are extremely innovative and practical. The Atlantic Compass 2 sports a limited 10-year warranty, so you know they've built it to last. 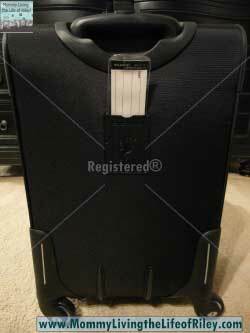 Disclosure: I received the Atlantic Compass 2 21" Expandable Carry-On Spinner Suiter from Travelpro International in order to facilitate my review. No other compensation was received. This product review is based on my own personal experiences with this item and is completely honest and objective. Thanks for the in depth review! I particularly enjoyed all the close-up pictures. 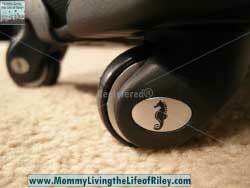 I’m personally a big fan of the “spinner” type wheel as well, particularly when walking in a crowded airport.